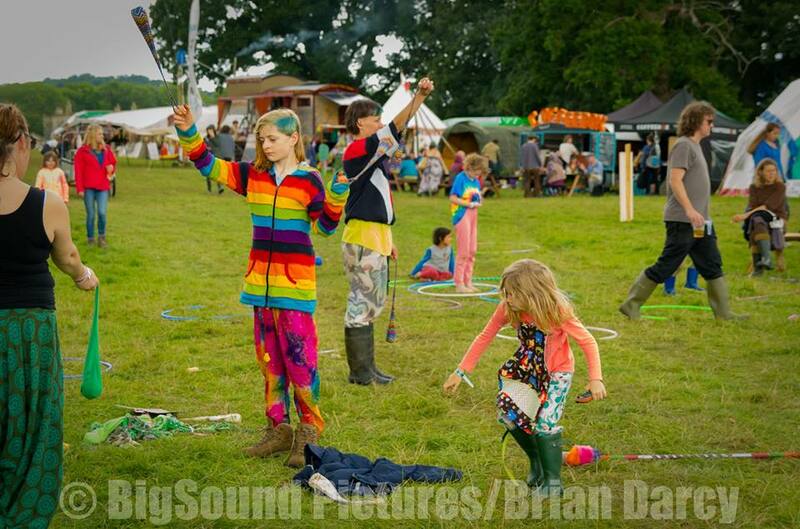 Green Gathering organisers are keen to listen and respond to younger voices in our festival community. The Mayflower Project has been working with teenagers for 7 years and offered to assist with this at GG 2018. First we had to define ‘young people’. After some discussion we decided to consult with two age groups: 12-18s and 18-25s (with 18 year olds free to join either group). How to engage these age groups? 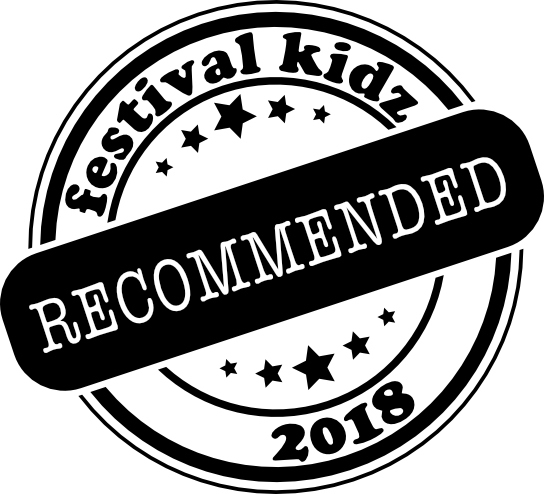 The festival welcomes feedback through our Info Tent on site, email, social media, and survey monkey; however, teens and young adults tend to provide less feedback than older people. It was agreed The Mayflower Project would host open meetings in several venues across the festival site. Young people were invited to attend and offer their thoughts and opinions on the festival and their place within it. Posters advertising the consultation were put up in The Mayflower Project marquee, the festival’s Information Tents and around the site. The festival programme prominently publicised the ‘Young Voices’ consultation and key members of the Green Gathering community encouraged young people to attend the sessions. The meetings were held in a conversational free form way, guided by the participants who were encouraged to express themselves freely. Those outside of the relevant age group were not admitted, to reduce the risk of outside influence on the results. There was also an online form for young people who wished to give their thoughts anonymously or who could not attend any of the meetings. Informal feedback and suggestions from visitors to The Mayflower Project marquee (teens only) were also gathered outside of the specific Young Voices meetings. A ‘People’s Assembly’ was held on the last day of the festival in the Speakers’ Forum; people of all ages were invited to discuss the importance of youth inclusion and to make suggestions. The following themes and conclusions have been drawn from The Mayflower Project consultation and report, discussion between The Mayflower Project’s co-ordinators and festival directors, and the minutes of the People’s Assembly. Many cited the atmosphere as their favourite part of The Green Gathering. This included the mix of cultures, the homely environment, the ‘good vibe’ and the opportunity to meet new people (especially of their own age through The Mayflower Project). Many young people were disappointed there weren’t more known or popular artists, or artists with particular appeal to young people; however some said the music was their favourite part of the event. ‘More variety’ generally of music was requested, but without a clear indication of what genres were thought to be lacking. The food available constituted many young people’s favourite element of the festival, however some felt the food was too expensive. Others said more food stalls should be open for breakfast. Many young people’s favourite part of the event. They liked the space to relax, play their own music and meet new people, as well as the activities on offer. Older teens (16-18) were sometimes put off by the numbers of younger teens there and some teens left the space due to overcrowding. Some young people suggested expanding The Mayflower Project to give space to accommodate both younger and older teens more comfortably. Many young people said they felt there was nothing for them to do at the event, particularly in the evenings. When asked what they would like to do, or what the festival could offer to fill the gaps, many of the suggestions turned out to be things that were already on offer. Requests for more workshops and discussions on issues specific to the needs and interests of young people were made; the interests expressed were wide ranging and included dance workshops, LGBT issues, mental health and practical alternative technologies. It may be that some young people aren’t aware of what’s on offer (ie the programme isn’t being presented in a way that’s accessible or engaging enough to young people); don’t feel welcome in what they see as older people’s spaces; or don’t feel confident enough to engage. Feedback suggests all three of these elements play a part in the ‘nothing to do’ feeling. The Mayflower Project co-ordinators have considerable practical experience working with young people and have also looked at research into engaging teenagers from developmental and psychological perspectives. They point out that teenagers frequently struggle to engage, or choose not to engage, because of the developmental stages they’re passing through. It may be that there is simultaneously nothing ‘wrong’ with what the festival is offering and nothing ‘wrong’ with the teen who is bored by it; the lack of engagement is simply a natural part of evolving from a dependent child into an independent adult. 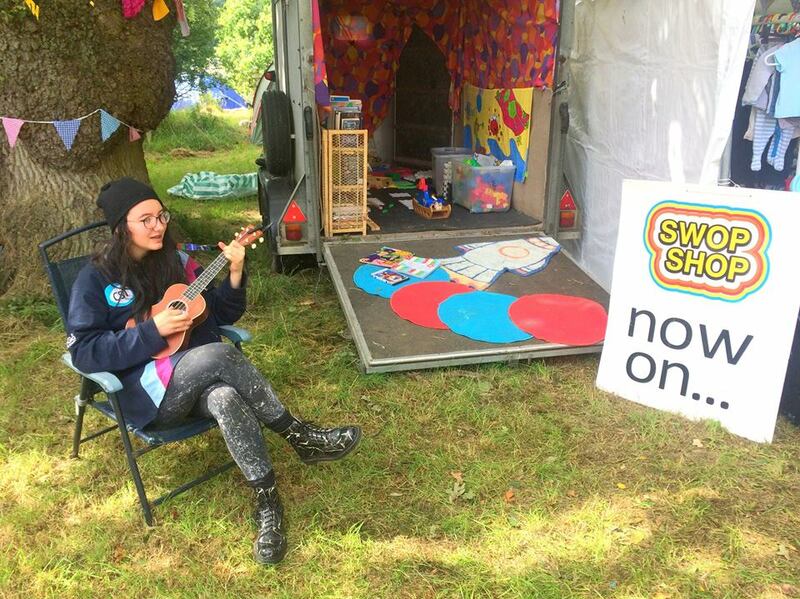 In 2017 a group of mostly young people based in the Campaigns area of the festival organised a protest with a procession and placards calling for young voices to be heard, and for the festival to ‘bring back the dance tent’ (referring to a dance tent last hosted at GG 2013). Most of the young people engaging with the consultation in 2018 hadn’t been part of that protest or had been only peripherally involved. Of those who had been involved, most understood the protest to be about the reinstatement of a dance/rave tent. Some thought it was about getting more provision for young people generally and some didn’t know what the protest was about but just joined in or were ‘dragged along’. When asked directly about a ‘dance tent’ or new youth-focused music venue there was considerable interest in the idea but not an overwhelming desire for a new or exclusive venue. Different genres of dance music being played in one or more existing venues was a popular idea. 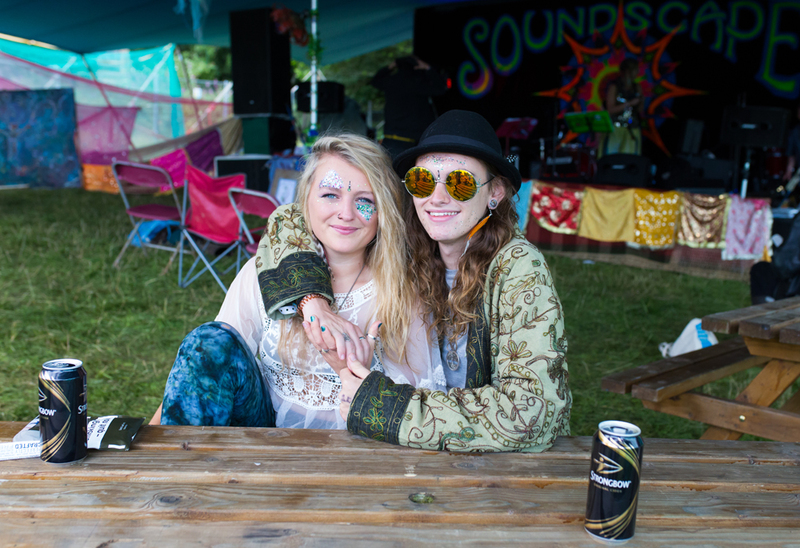 Some of the young people recognised that a new dance venue may not be possible and/or that it could disrupt the relaxed atmosphere of the festival. Some felt having youth focused nights at the 99% Bar could be a good way forward. Others would like a music suggestion box in The Mayflower Project marquee from which playlists could be made, and thought this would be preferable to a dance tent. Of those wanting a youth-focused music venue/night, the majority didn’t think it would be a problem having a bar attached to the venue (as would be the case in the 99% Bar). 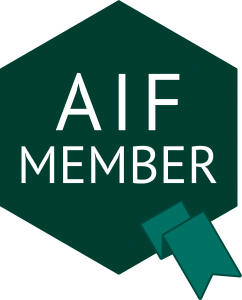 The Mayflower Project co-ordinators reflected that the presence or absence of a bar is less important than the behaviour of people within a venue, suggesting the festival provide additional stewarding and safer space notices in any youth-focused sessions. The bar staff would be able to check wristbands before serving, as well as instigating a Challenge 21 policy; under-18s and over-18s are issued different colour wristbands on entry to the festival. This group did not engage as fully as the under 18’s. Several themes included above were echoed. The friendly people who come to The Green Gathering were the favourite element of the event for this age group. It was acknowledged that introducing more varieties of music (particularly more intense electronic music) could attract people who would change and potentially damage the atmosphere. It was suggested there should be more opportunities to skill share, particularly across age groups and between demographics, including in less structured ways. There was a general desire for more opportunity for age groups to come together to share skills in circus, music and to play co-operative games. It was noted that some of these suggestions were made or endorsed by adults over 25 years old. The young people who engaged with the consultation like The Green Gathering. As a whole, the festival gets a pretty unequivocal collective thumbs up. 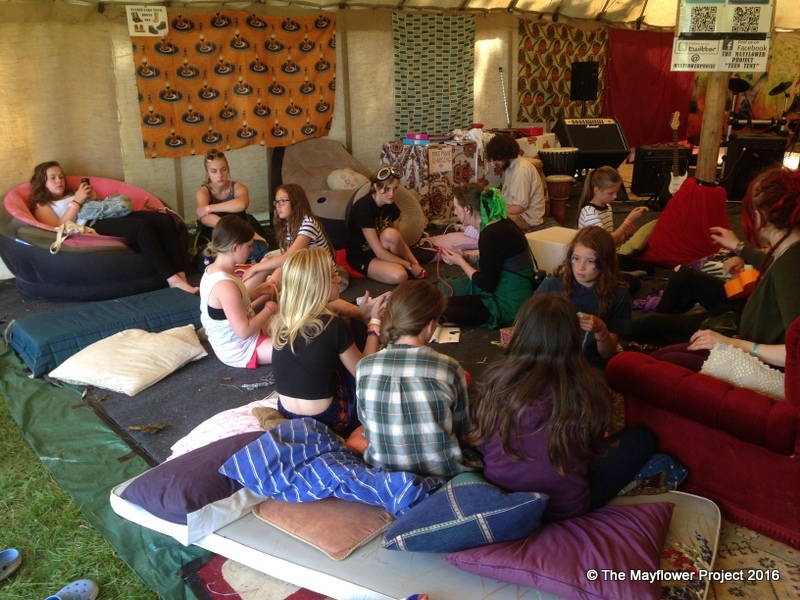 None of the young participants complained about being dragged unwillingly to The Green Gathering by parents or guardians (The Mayflower Project co-ordinators report hearing this complaint at other events where they work with teens). When asked about their favourite element, a high proportion praised “the people”, “the atmosphere” and “the vibe”. These are the same favourites as reported by older people via the GG feedback survey. 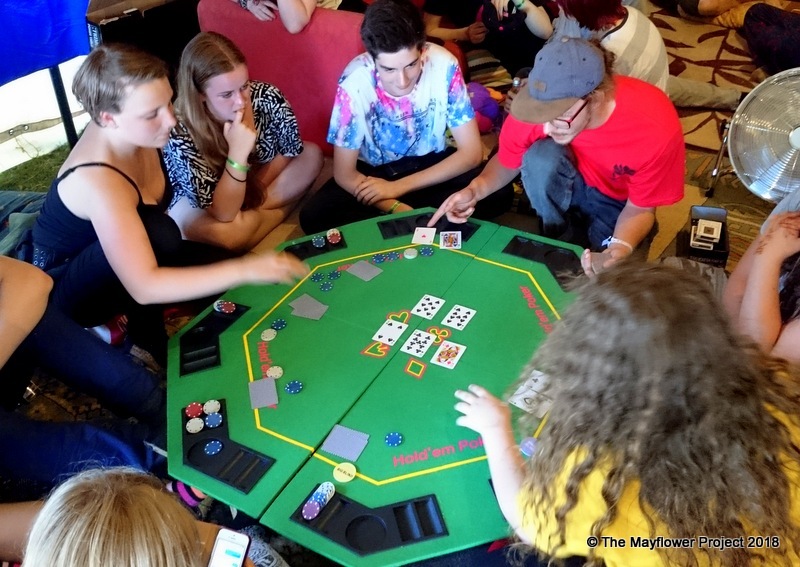 The ability to meet new people was raised regularly as a positive thing about the festival and about The Mayflower Project (Teens Tent) specifically, although it was repeatedly mentioned that it would be better if there was more space in The Mayflower Project. The young people were positive about the workshops already on offer and also made suggestions for adding to these. There was a clear desire for more youth-orientated workshops and discussions in the Campaigns Field and Speakers’ Forum, more active skillshares across age groups, and more musical variety. There was a relative lack of engagement from the 18 to 25 age group. This age group was more heavily represented amongst the 2017 ‘protesters’ than the younger age group but having asked for their voices to be heard, only a few chose to speak. The Mayflower Project co-ordinators raised the possibility that young people may have opted out of the Young Voices consultation due to disillusionment, because their 2017 protest had not yielded the immediate response they were hoping for. It could also be that some young people involved in the 2017 protest had already voted with their feet and gone to a festival more suited to their tastes. Amongst people who did engage, the consultation process was mostly very well received and the young people appreciated being listened to. The Teen Tent will see an expansion in marquee size, variety of activities, and area available for outdoor activities in 2019. Apps, vloggers, web and social media improvements were included as potential ways to enhance youth engagement in the minutes of the People’s Assembly, but featured minimally in the Young Voices meetings. Some people indicated that vloggers would have little impact on The Green Gathering and that apps are not a youth panacea. 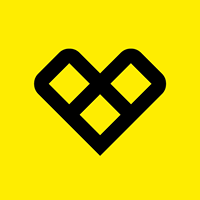 A programme app and website overhaul are in the festival’s marketing plan for 2020 and enhanced use of social media is part of the plan for 2019 onwards. Area and venue co-ordinators will be asked to think about what they do or could do that might be particularly attractive to young people… and to flag this up in their programme info so it can be highlighted in GG publicity pre-event as well as on site. There will be a youth-focused night at the 99% Bar in 2019 – details coming soon! Additional stewarding and safer space notices will be arranged. 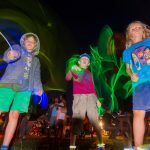 The (popular with all ages) Silent Disco will hopefully return to GG 2019 to further increase the variety of music and late night entertainment, without impacting on sound levels and licensing restrictions. 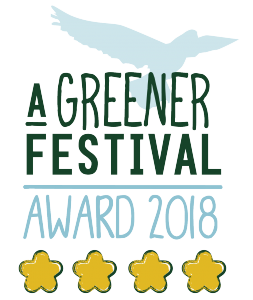 Bands and other performers can apply to perform at The Green Gathering via the Contact page of the festival’s website from January 2019. Young artists are encouraged to apply, while bearing in mind that not all applications are successful. 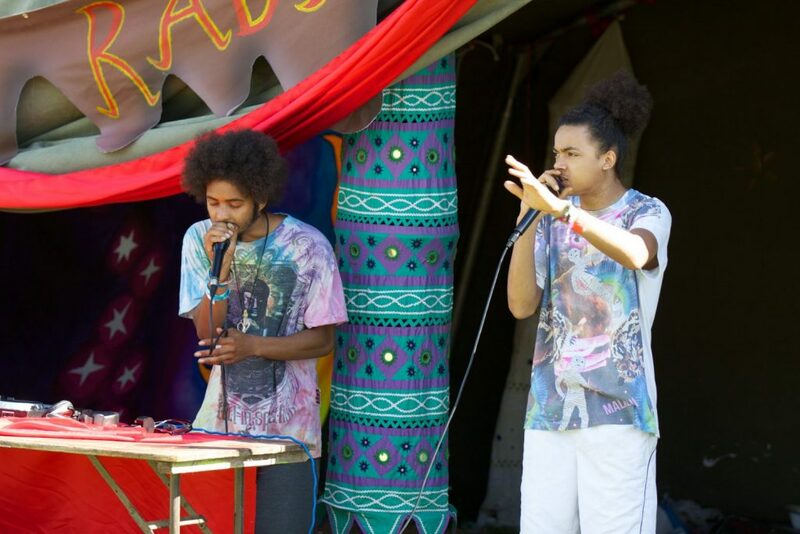 Young people intending to be at GG 2019 are welcome to make suggestions for bands and other artists by email to the Entertainments co-ordinators (ents@greengathering.org.uk) from January 1st and are asked to bear in mind the limited budget (GG is a not-for-profit event with no sponsorship). GG directors will be asking area and venue co-ordinators to focus on what they do or could do that might be particularly attractive to young people, and to let the marketing team and directors know what is being done so that we can shine a spotlight on those activities. We aim to encourage more youth-focused activities, relevant and accessible programming and safe, inclusive environments designed to make young people feel welcome… while emphasising that ghettoisation of young people is not what The Green Gathering seeks. We are clear that not all young people have the same interests, that many interests are shared across broad age ranges, and that interaction across generations has benefits. The Mayflower Project and/or GG directors will contact co-ordinators of relevant areas and venues (eg Speakers’ Forum, Campaigns, 99% Bar) to discuss ways to enhance engagement, accessibility and the platforming of young people’s voices, interests, concerns and talents. The Green Gathering may be able to offer training in aspects of event management in the future. Training was suggested at the People’s Assembly but wasn’t high on the priority list for many of the young people consulted, however the possibility has been discussed and will be returned to. The majority of people, of all ages, who engaged with the Young Voices consultation were keen to see it as part of an ongoing process rather than a one-off event. A People’s Assembly in the Speakers’ Forum on the Sunday of every event has been suggested, to enable people of all ages to have their voices heard, to feel that they’re part of the GG festival community, and to be reassured that the festival’s organisers will take note of themes arising within that community – youth inclusion being one of those themes. This will be discussed once Forum programming for 2019 has begun. The Green Gathering festival directors thank The Mayflower Project and all who contributed to the Young Voices consultation.